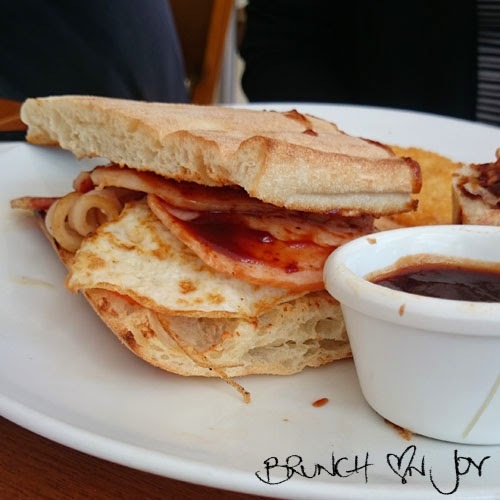 Searching for a brunch place thats somewhere central, takes large groups, kid friendly, has parking, licensed and has chocolate milkshakes is quite the mission. Luckily this place fit the bill with a bonus waterfront view of Darling Harbour... give or take on the quality and service. The breakfast menu is simple with the classic big breakfast, eggs benedict and even a bacon and egg roll. 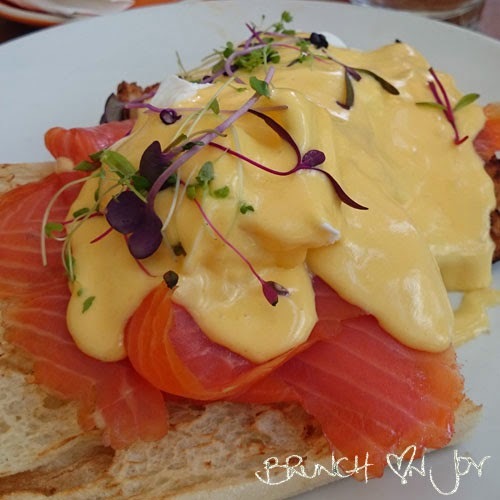 I couldn't go past the eggs benedict three ways with smoked salmon. 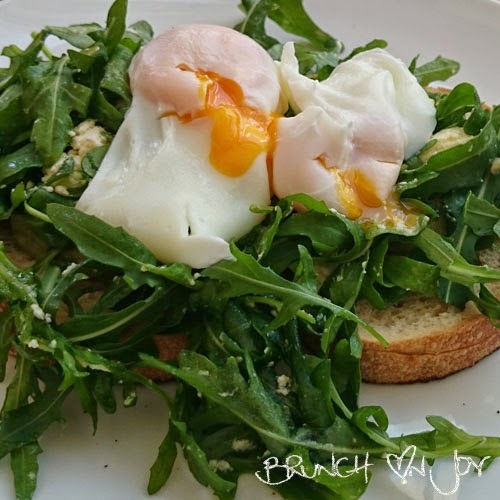 As I tasted the hollandaise I thought perhaps this could be the best eggs benny I've had all year... of course that means everything has to be perfect. Unlucky this time though, the turkish bread was a little tough. 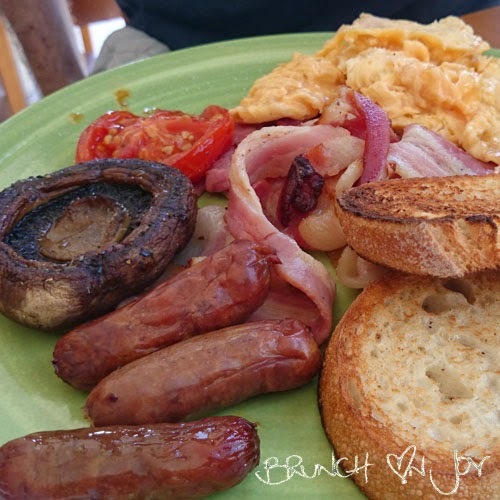 Big breakfast consisted of little chipolatas, one mushroom, a hash brown, half a tomato and bacon and eggs. If you are up for a bigger meal, there's the breakfast buffet for $25 per person. Hello food coma. The good old bacon and egg roll came out on turkish bread with two hash browns but missing the star of the plate - bacon! Epic oops Cyren. The pic here shows it with the bacon. Both Eggs Mediterranean were devoured with nothing left on the plates. 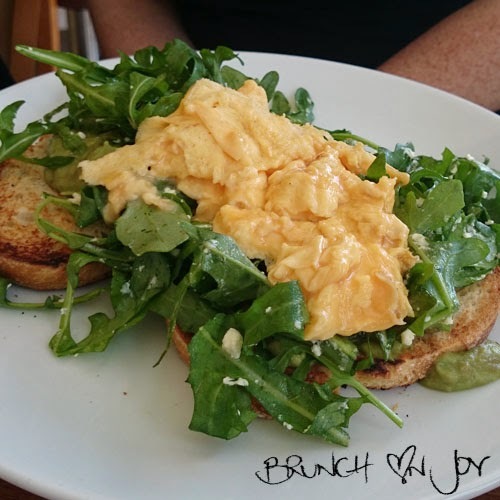 The poached eggs oozed nicely and the scrambled eggs were fluffy adorning the roquette (fancy pants rocket), fetta and avocado which resembled packet looking green mush - perhaps they ran out of real avocado? If all that wasn't enough, the lunch menu starts at 11.30am with seafood, angus beef, burgers, pizzas and desserts of all sorts. We nibbled on the assorted cheese while others ordered the seafood plate options. 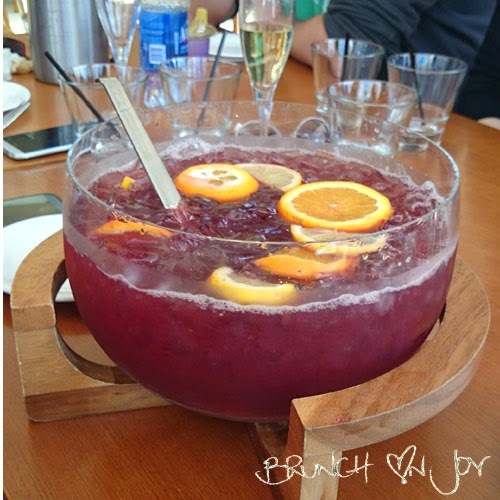 The drinks menu has plenty of variety to suit all, whether its non-alcoholic, alcoholic, hot or cold, cocktails including huge cocktail punch bowls to share for 4. We really enjoyed the Sangria and Pimms versions. 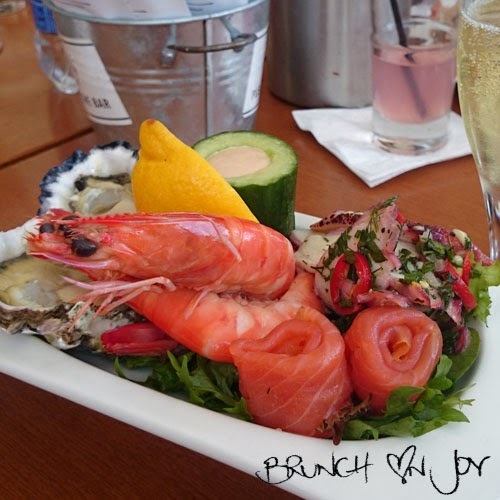 Mission accomplished, this is the location for a lazy long brunch with space and a spectacular view - that's if you're not too picky on service and quality (all you snobs of Surry Hills and the like :)). 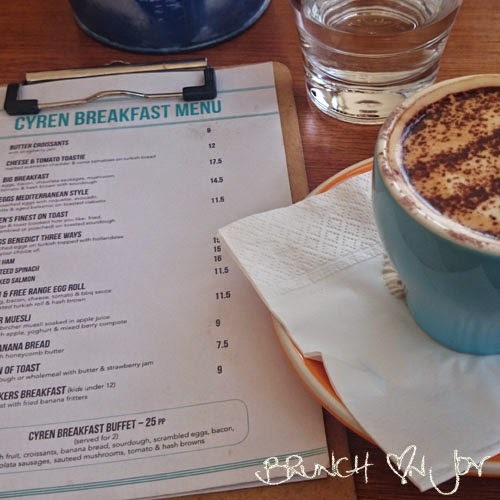 Cyren is known more for it's lunch and dinner service so it doesn't do too bad for trying out the breakfast service - they kept us happy! Atmosphere: Relaxed, open, clean, spacious. Ideal for large groups.